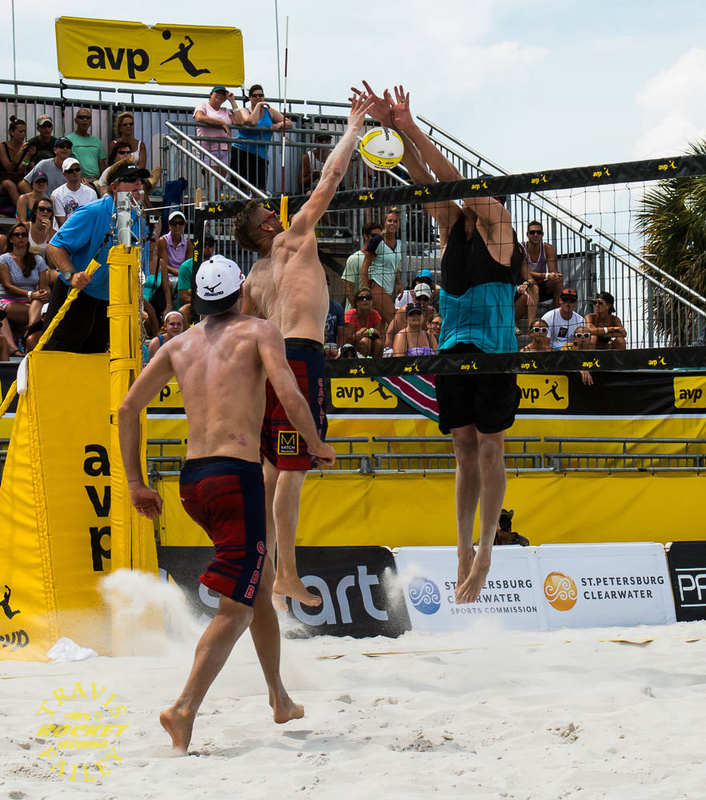 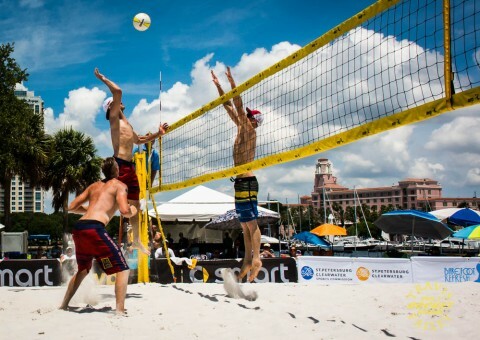 Saint Petersburg, Fla.– The AVP St. Petersburg Open returned for the second straight year and was held on May 29 through June 1, 2014. 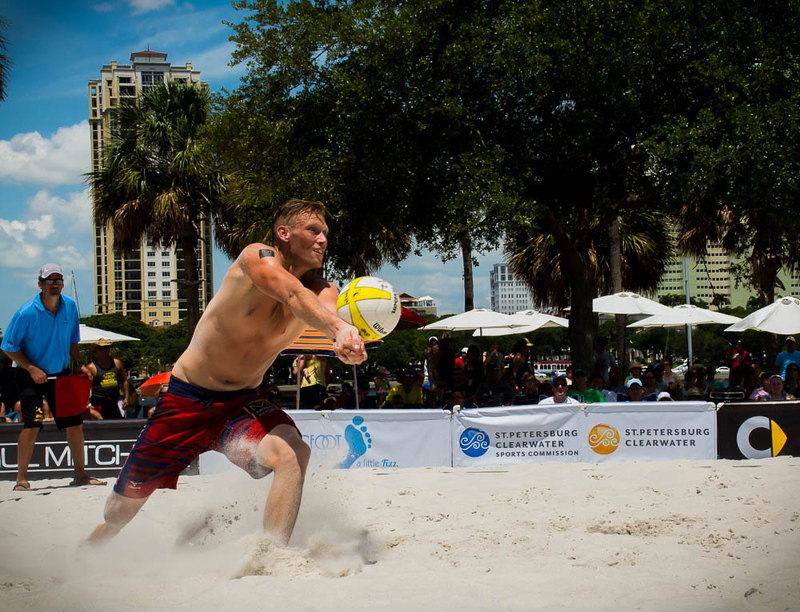 The weekend brought hot, but otherwise beautiful Florida weather. 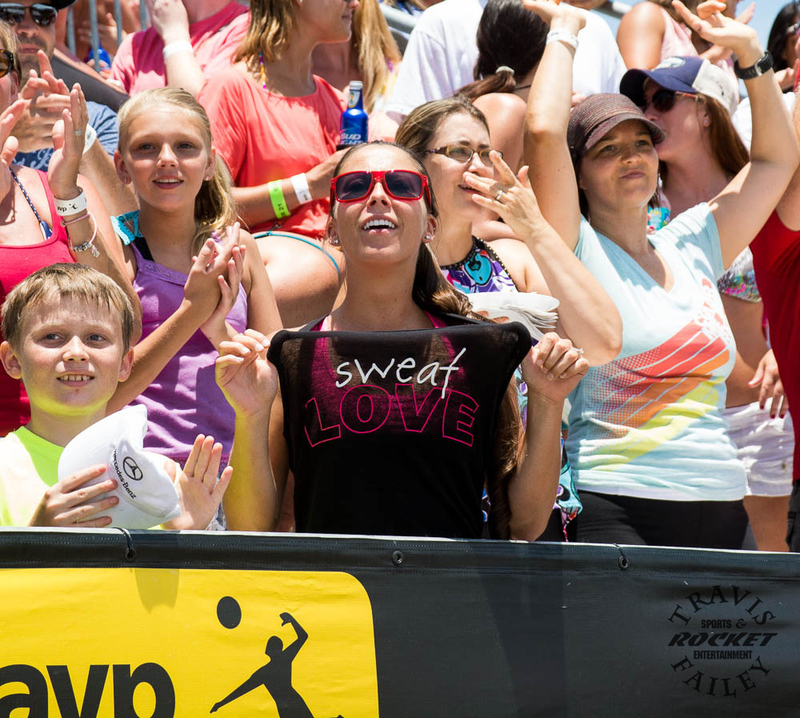 A welcomed breeze came in from the Bay on Sunday, bringing some relief to the players and fans. Speaking of fans, the event brought suntanned and faithful fans from all over the State to Spa Beach Park in beautiful Saint Petersburg to watch beach volleyball’s finest. 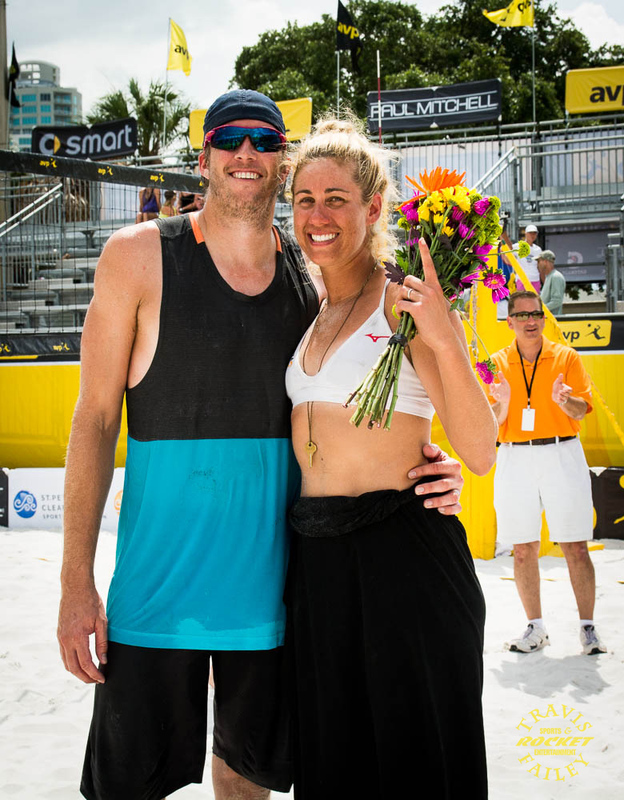 The Association of Volleyball Professionals’ finals were televised live on CBS Sports Network, with the women’s final beginning at 1:00 p.m. and the men’s immediately thereafter. 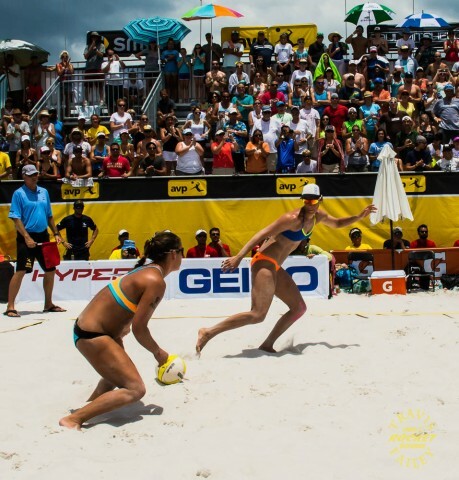 The women’s final was between the teams of Kerri Walsh Jennings / April Ross and Lauren Fendrick / Brooke Sweat. The men’s final was between Jake Gibb / Casey Patterson and Brad Keenan / John Mayer. 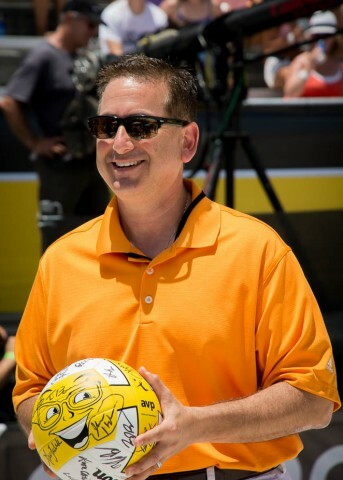 Saint Petersburg’s Mayor Rick Kriseman had the honor of delivering the final’s first serve and smiled for the cameras. I have had the pleasure of meeting Mayor Kriseman on several occasions, and approve of his support of all things sports-related (from the Rays to the Grand Prix) in Saint Petersburg. 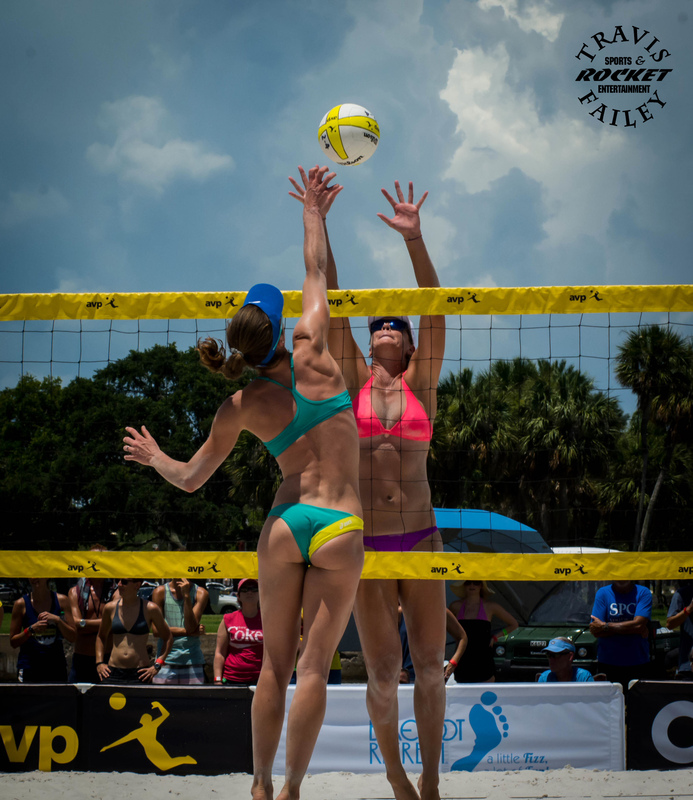 Kerri Walsh Jennings and April Ross went three sets and won their match by the scores of 19-21, 21-15, 15-11. 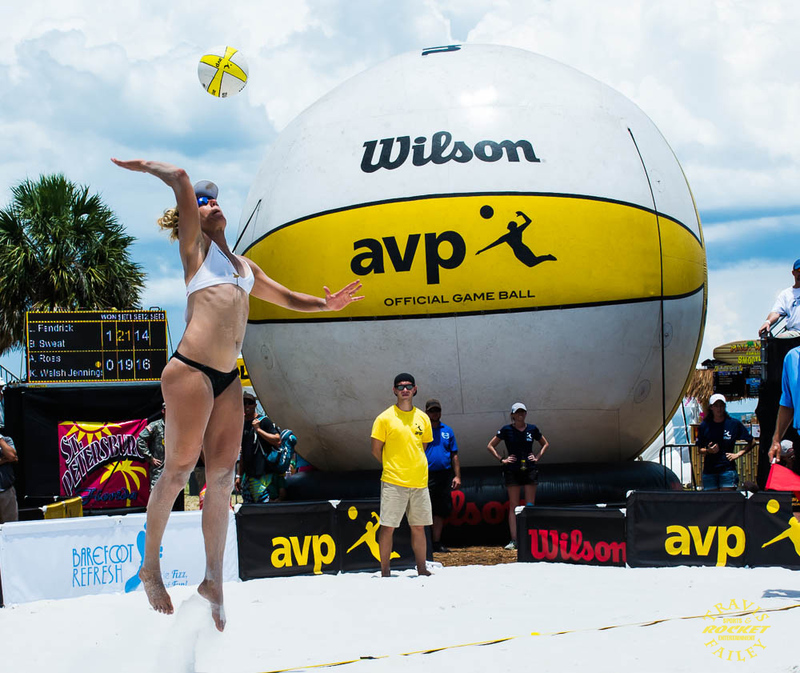 Three-time Olympic gold medalist, Kerri Walsh Jennings, set an AVP Tour women’s record Sunday with her 67th career victory on the professional beach volleyball circuit. 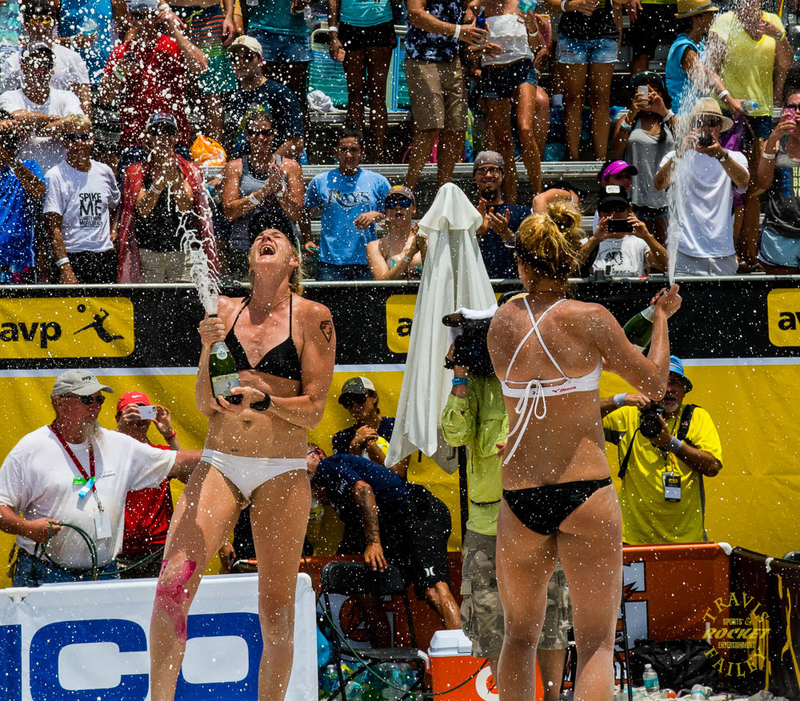 After winning their championship, April Ross celebrated with the fans and shared some champagne. 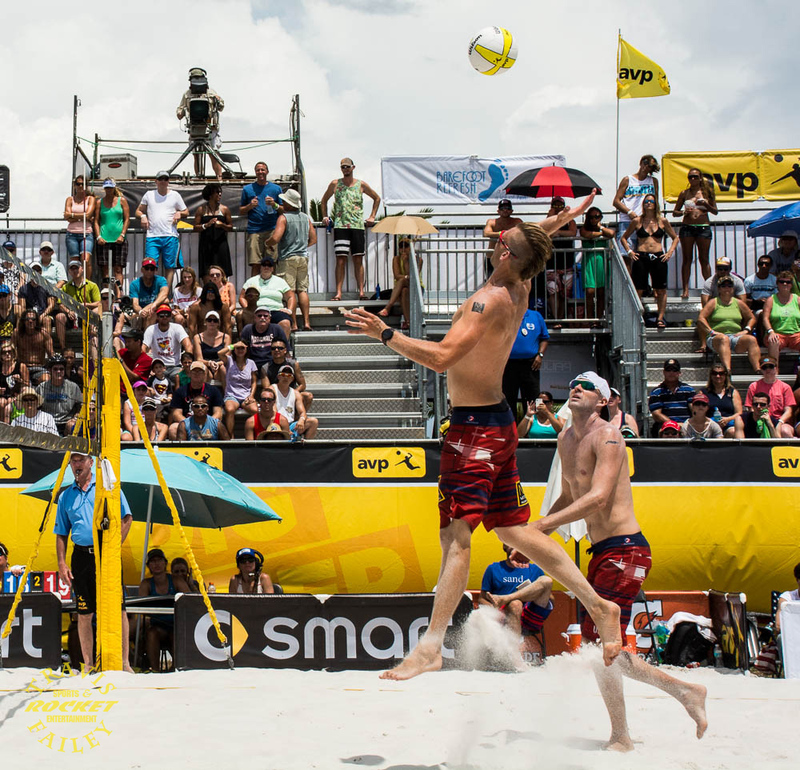 Brad Keenan and John Mayer went three sets in their match as well, with Brad Keenan and John Mayer winning 16-21, 21-19, 18-16. 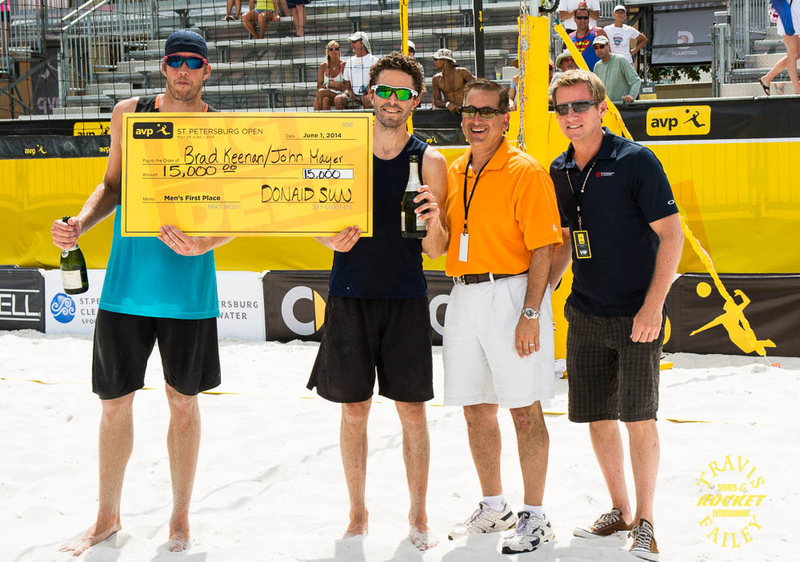 Leading 17–16, John Mayer crushed a cross court serve for an ace and the win, as Brad Keenan, after coming in second nine times, gets the check and the champagne. 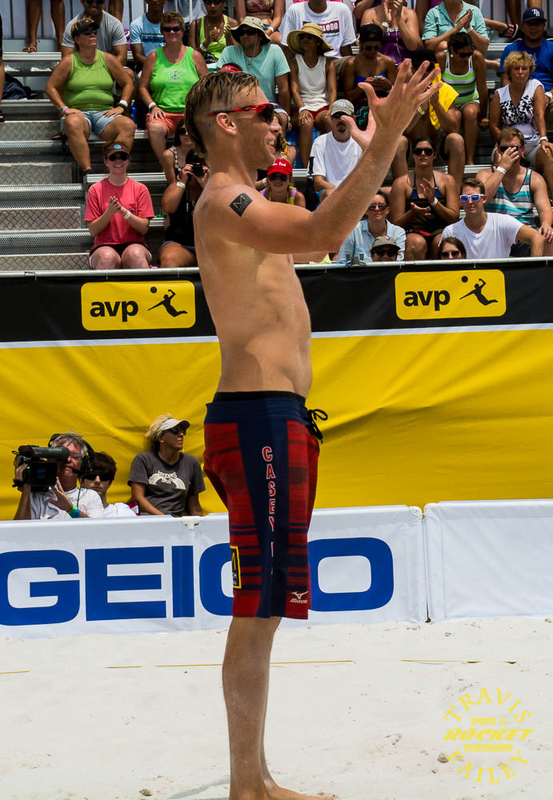 It was the second career AVP win for John Mayer, who has played in five tournament finals. Fan favorite, Casey Patterson, put on a show in defeat, but in the final set, a boom camera non-interference call in addition to a non-net hit by Keenan, seemed to swing the momentum in Keenan and Mayer’s favor. This, in addition to the great net play by Keenan cost Patterson and Gibb the championship. In any event, Sunday’s exciting matches were what are expected to be tour-long rivalries. 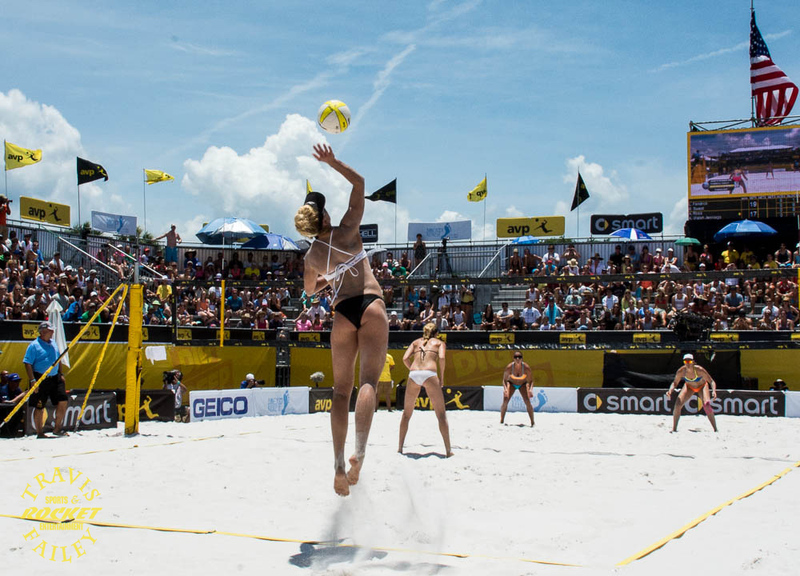 Both the women’s and men’s matches included exciting rallies to end the match and after the post game ceremonies, both of the winning teams posed for pictures with the fans, including Mayor Kriseman, and signed autographs. Notable sponsors for the event included Outshine, Smart USA, Barefoot, HyperX, and Gatorade. Outshine provided free frozen fruit bars to the crowd, which, by the way, were delicious! 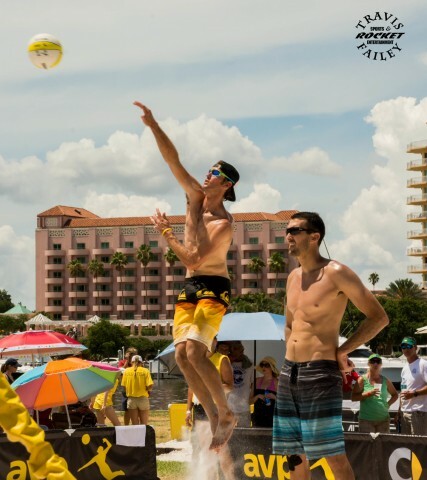 Event staff were armed with mini-volleyballs and super-soakers and had fun aiming and firing at the crowd with ice-cold water. 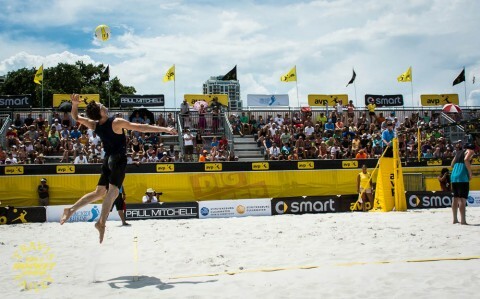 The venue provided shaded VIP and Club seating along with affordable concessions. 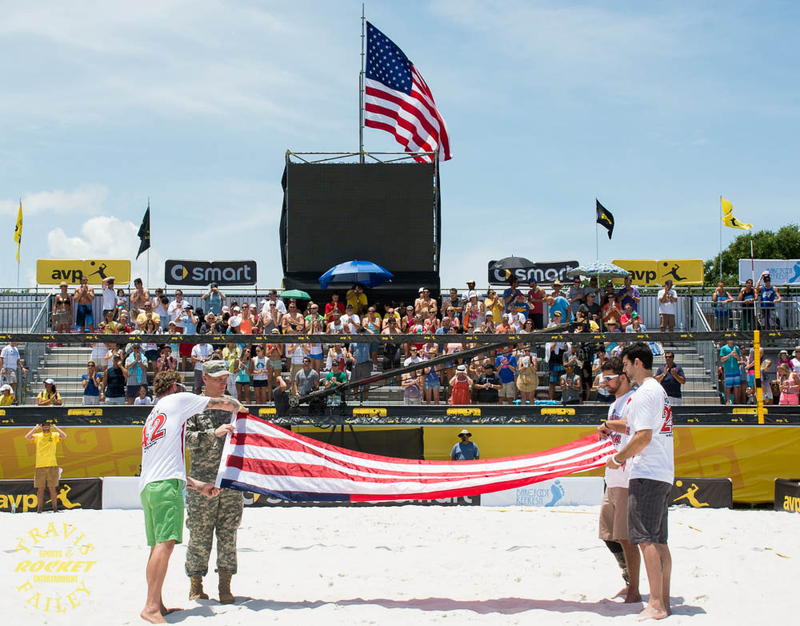 With thousands in attendance, AVP’s event was great for local businesses and the fans. 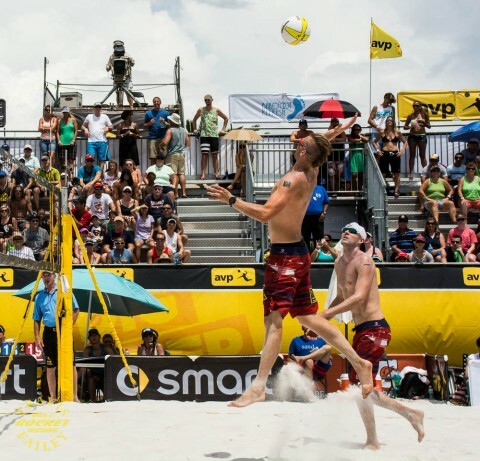 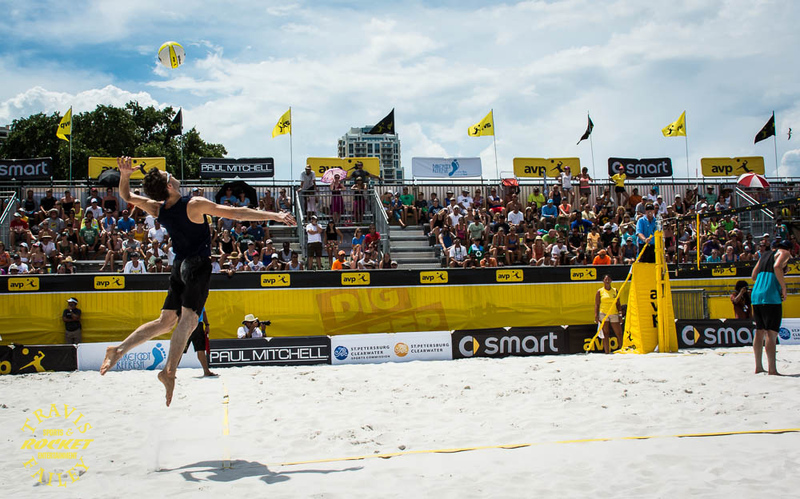 AVP’s next stop is in Milwaukee, WI on July 3 through 6, 2014. 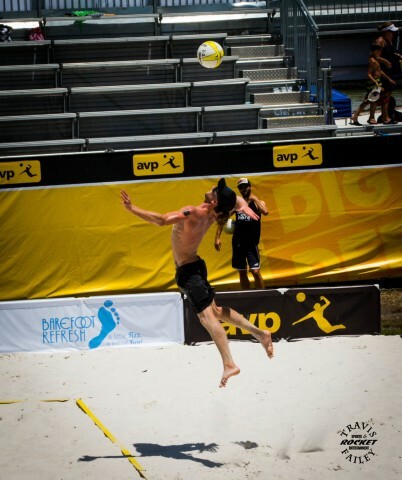 More information is available at www.AVP.com. 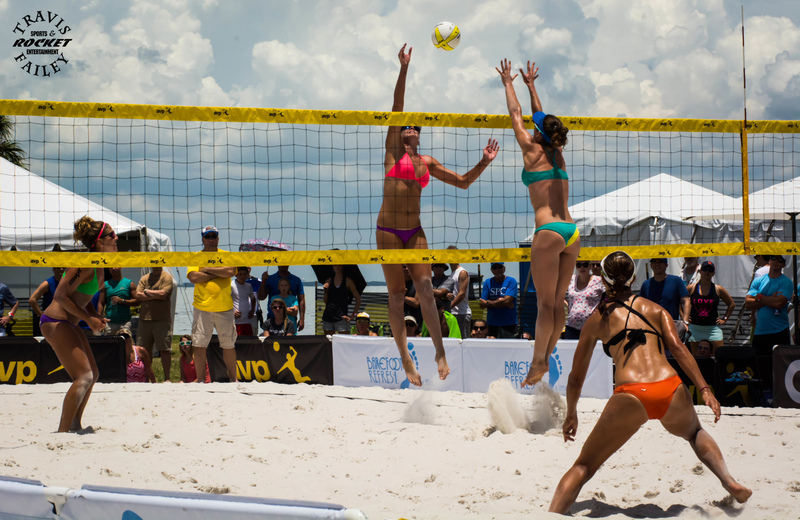 Beach, sun, bikinis, pro volleyball and beer!! !